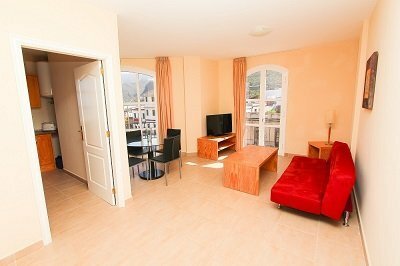 The apartments in Villa de los Silos of Coral los Silos, of Canary style and with spacious areas, welcome you to a comfortable accommodation at the best price online guaranteed. 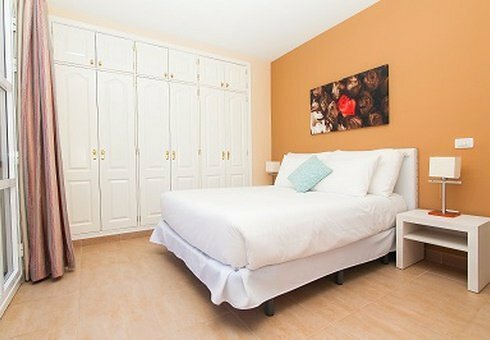 Book your holiday apartment on the northeast of Tenerife directly on the official website of Coral Hotels. Modern and elegant apartments with a totally equipped open kitchen with vitro ceramic plates, fridge, microwave, toaster, kettle, coffee maker. Large dining room furnished and decorated in accordance with the natural surroundings of the area. Free TV. Free safe. 2 separate bedrooms, both keeping the same natural and relaxing atmosphere. In this room type the second bedroom is with two beds. 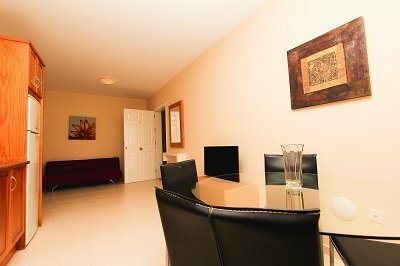 All units have fully equipped bath rooms with bath tub. These apartments have Sea View. 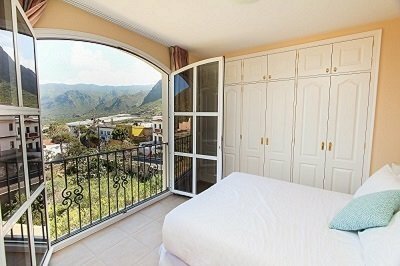 All guests can enjoy a fully furnished solarium on the rooftop, equipped with shower and toilet, also with wonderful views. Laundry room. Free Wifi. Private Garage. Elevator. 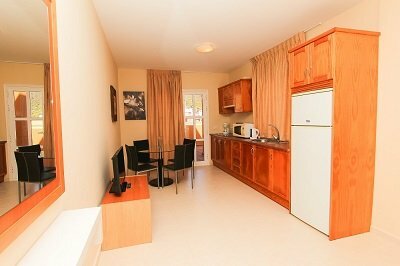 Modern and elegant apartments with a totally equipped open kitchen with vitro ceramic plates, fridge, microwave, toaster, kettle, coffee maker. Large dining room furnished and decorated in accordance with the natural surroundings of the area. Free TV. Free safe. 2 separate bedrooms, both keeping the same natural and relaxing atmosphere. In this room type the second bedroom is with one bed only. All units have fully equipped bath rooms with bath tub. 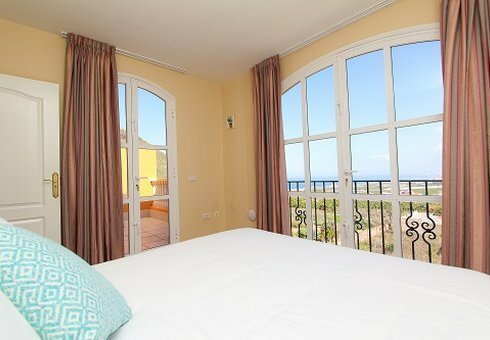 These apartments have Sea View and also offer a furnished private terrace with amazing views. 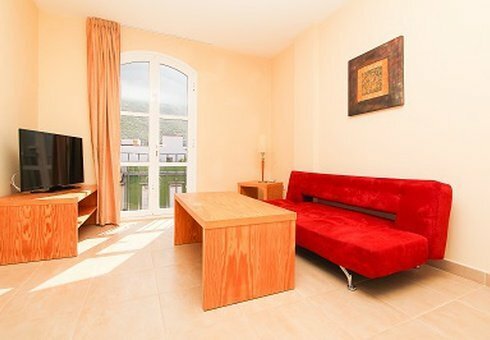 All guests can enjoy a fully furnished solarium on the rooftop, equipped with shower and toilet, also with wonderful views. Laundry room. Free Wifi. Private Garage. Elevator. Modern and elegant apartments with a totally equipped open kitchen with vitro ceramic plates, fridge, microwave, toaster, kettle, coffee maker. Large dining room furnished and decorated in accordance with the natural surroundings of the area. Free TV. Free safe. 2 separate bedrooms, both keeping the same natural and relaxing atmosphere. In this room type the second bedroom is with two beds. 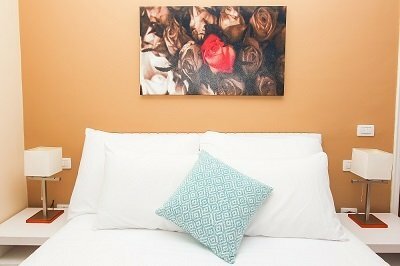 All units have fully equipped bath rooms with bath tub. 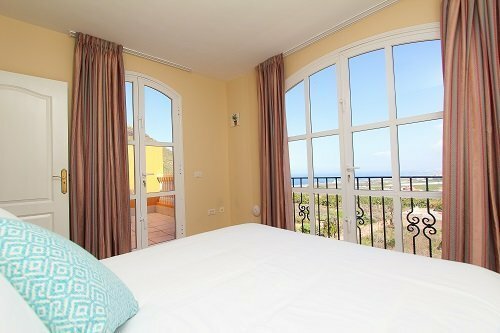 All guests can enjoy a fully furnished solarium on the rooftop, equipped with shower and toilet, also with wonderful views. Laundry room. Free Wifi. Private Garage. Elevator. Modern and elegant apartments with a totally equipped open kitchen with vitro ceramic plates, fridge, microwave, toaster, kettle, coffee maker. Large dining room furnished and decorated in accordance with the natural surroundings of the area. Free TV. Free safe. 2 separate bedrooms, both keeping the same natural and relaxing atmosphere. In this room type the second bedroom is with one bed only. All units have fully equipped bath rooms with bath tub. These apartments have Sea View. 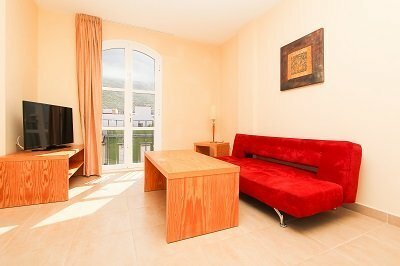 All guests can enjoy a fully furnished solarium on the rooftop, equipped with shower and toilet, also with wonderful views. Laundry room. Free Wifi. Private Garage. Elevator.